Win a double pass to Michael Ball and Alfie Boe: Together | Daily Review: Film, stage and music reviews, interviews and more. Two of the greatest voices in the world, Michael Ball and Alfie Boe, have received countless prestigious awards, record-breaking sales and chart successes. Now they bring their Together tour to Australia this October. Over his extraordinary 30-year career, Michael Ball’s outstanding performances have made smash-hit box office history. He is a double Olivier Award winner, multi-platinum recording artist, top selling live concert performer and a hugely popular radio and TV presenter. Alfie Boe’s exceptional voice has made him Britain’s most popular and biggest-selling tenor. The Tony Award winner has conquered the world’s greatest opera stages and arenas, led the cast of Les Misérables, stolen the show at the Queen’s Diamond Jubilee Concert at Buckingham Palace – and performed at the Queen’s 90th birthday celebrations at Windsor Castle. Together features a cherry-picked repertoire of personal favourites from film and stage shows including a Les Miserables medley, ‘Somewhere’, ‘You’ll Never Walk Alone’, ‘Speak Softly Love’ (theme from The Godfather), ‘For Once in My Life’ and more. Daily Review has one double pass to each performance on the tour, in Brisbane, Perth, Sydney, Adelaide and Melbourne. See full tour dates here. For your chance to win, enter your details here and make sure you’ve liked us on Facebook to boost your chances of winning. 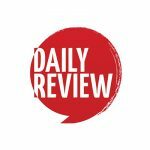 This competition is promoted by dailyreview.com.au and will be drawn on 25/9/2017. The competition is open to residents of Australia and New Zealand unless stated otherwise. Information on the method(s) by which the competition can be entered are found here. Daily Review does not endorse, take responsibility for or provide a warranty of any kind for the prize(s) offered in this promotion, nor do we provide any transportation or accommodation that may be necessary. By entering this competition, you allow Daily Review to share your contact information with the company/companies providing the prize(s) to enable delivery of the prize(s). Spring has sprung and there’s music in the air. I am ready to Be enchanted and Be uplifted. This would be a great birthday present for my wife. This would be a fantastic event to be at. It is truly an incredible opportunity to experience the world’s class Michael Ball and Alfie Boe music performance in Sydney. I would never forget this wonderful music event in my lifetime. Truly incredible experience.